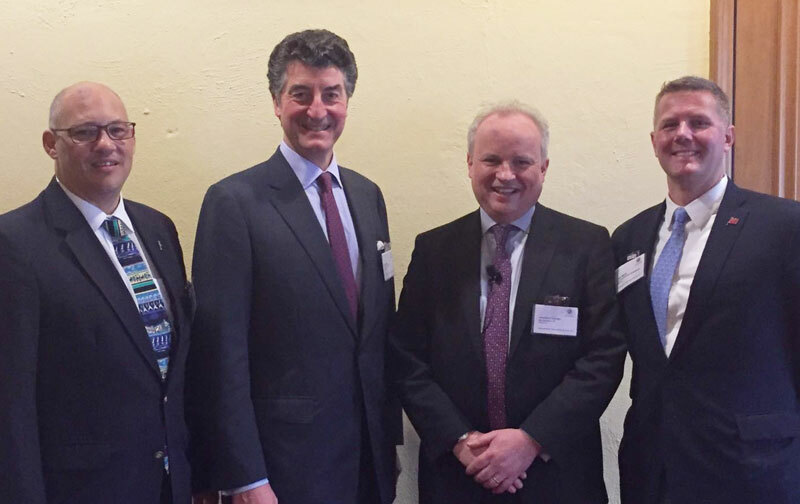 UK-based organisers of this spring’s second annual Transcontinental Trusts: International Forum have committed to return to the island next May following the growing success of the trust and private client industry event in Bermuda. Next year’s event will be held once again at the Fairmont Southampton Resort, following two well-attended previous events; exact dates for 2017 are currently being determined. This year’s forum, held May 8–10, attracted more than 260 attendees—high-level trust professionals from the US, UK, Europe, the US and the Caribbean. That compared with 230 attendees in its inaugural year, and organisers say they expect numbers to continue to rise. “The support, enthusiasm and togetherness of the Bermuda trust industry continues to mark the Forum in every practitioner’s calendar,” said David Gold, commercial director for UK-based IBC Global Conferences. “The 2016 event built on the outstanding success of 2015 and somehow managed to surpass it in quality of the programme and number of attendees. BDA CEO Ross Webber made the opening remarks at this year’s event, welcoming the high-calibre event as a new “fixture” on Bermuda’s industry calendar. “Bermuda is a perfect fit to be host venue, given our heritage as one of the world’s leading and oldest international wealth-planning jurisdictions—a place for quality,” Mr Webber said. “The BDA is proud to be lead sponsor of this conference for that same reason. We’re committed to ensuring Bermuda remains at the forefront of international trust law and making certain our domicile provides an innovative, competitive, fit-for-purpose product. A highlight of this year’s forum was the “Trans Trusts International Supreme Court,” a mock hearing in which three barristers presented arguments in a fictional family dispute to a panel of five Supreme Court Justices—including Bermuda Chief Justice Ian Kawaley—who returned a judgement at the end of the day. Also memorable was the event’s new “Rising Stars Programme,” in which 18 practitioners with five or fewer years’ experience in the trust industry were nominated. Each entrant submitted a 1,000-word paper predicting issues private-client professionals would face in the year 2030. Emma Hargreaves, a young litigator from London, was named the 2016 winner. “By all accounts, it is becoming one of the ‘must-attend’ events on the trust and private client calendar,” said Sean Moran, Business Development Manager [Trust & Private Client] of the BDA, which secured the event for Bermuda two years ago. Bermuda trust lawyers agreed the event is an important showcase of the jurisdiction and its world-class talent. “The forum has become a market-leading event in the private-client world,” noted Appleby Partner Keith Robinson, whose practice focuses on high-value trust disputes and restructurings.